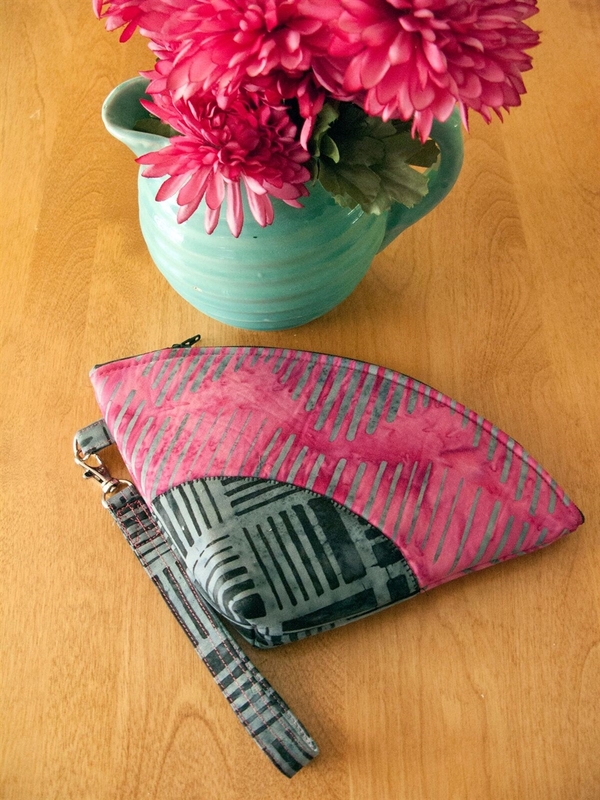 The Petal Pouch from Poorhouse quilt designs makes a great gift and it is so much fun to make. 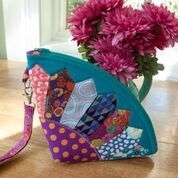 Transform your scraps into this hip little bag- great gift for teens, tweens, grannies and nannies! 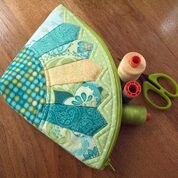 We will discuss fabric and embellishment options- this is a great canvas for your creativity! 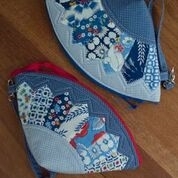 Kit includes pattern, hardware and interfacings needed. Supply list specifies fabrics and notions needed. This is a 3 hour workshop. $13.00 Kit fee paid to instructor in class. 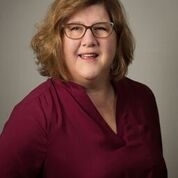 Workshop prep sheet will be provided by this instructor.